Clean, warm room. Stayed for an interview and room was quiet and Wi-Fi was great. The hotel is close to the Bus Station, which was a big plus since we had to take the airport shuttle from there. Perfect value for money, great location, hotel super clean and quiet. 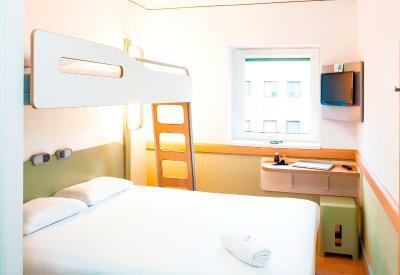 Always get an accessible room when we ask and disabled parking very close by, Perfect, clean basic room at a good price. 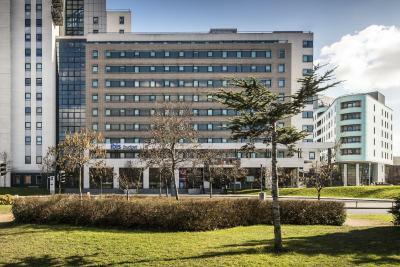 Location is really good, near the main bus station. The room that we got can is for 3 people instead, but no complain on that. 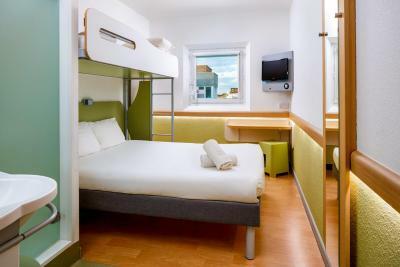 The receptionist was very friendly and asked whether we prefer quiet room or the one that face the main road. The elevator was amazingly fast. The bed was comfortable. 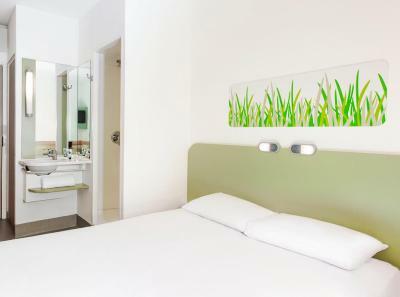 Rooms were clean, staff helpful was ideal for the price would definitely stay again. 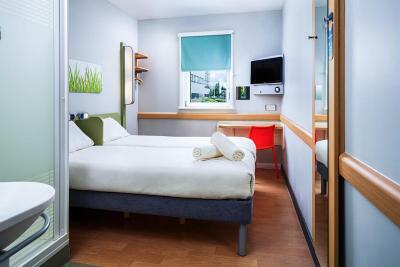 ibis budget Leeds Centre Crown Point Road This rating is a reflection of how the property compares to the industry standard when it comes to price, facilities and services available. It's based on a self-evaluation by the property. Use this rating to help choose your stay! 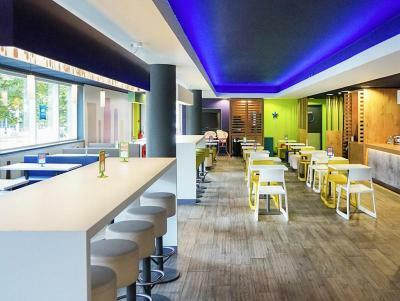 With a 24-hour front desk, the ibis budget Leeds Center Crown Point Road offers bright, budget rooms and a snack bar. 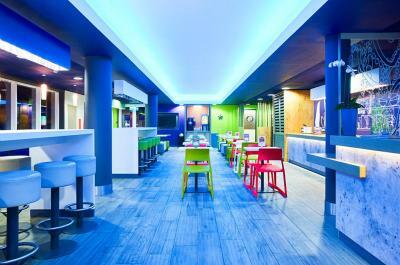 The hotel is located in just a 10-minute walk from Leeds center and the Victoria Quarter. 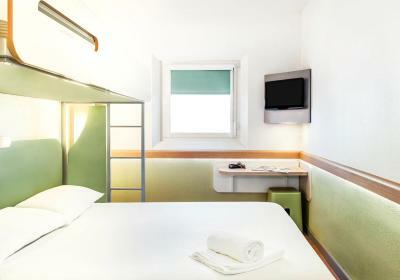 The modern bedrooms at the ibis budget Leeds Crown Point Road each have a flat-screen TV and a work desk. 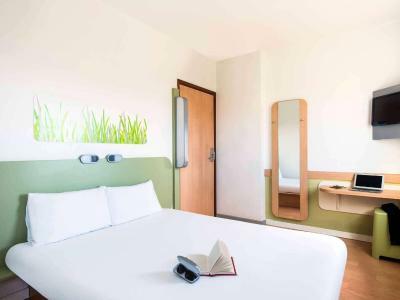 All rooms feature a private shower room with a separate sink, and air conditioning is also available. 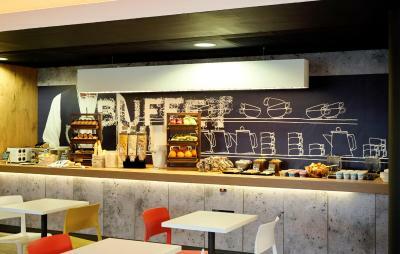 Guests can enjoy a light buffet breakfast each morning, including fresh fruit, tea/coffee and a selection of cereals. 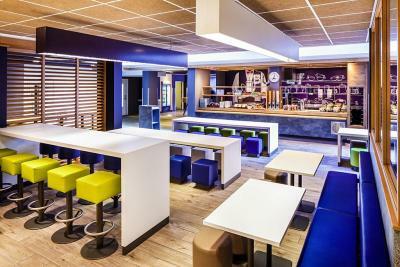 The lobby has a snack bar, vending machines and Wi-Fi access. 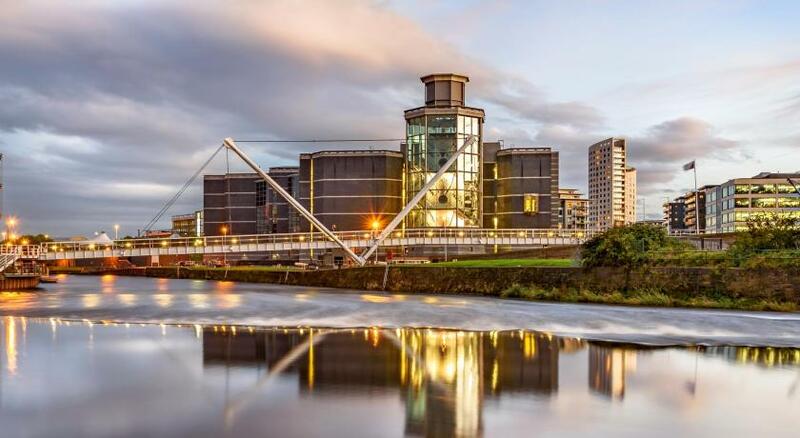 Just 15 minutes’ walk from Leeds Railway Station, the ibis budget Leeds Center is within a 20-minute walk of the Royal Armories Museum and the City Museum. Parking is available nearby for an additional charge. 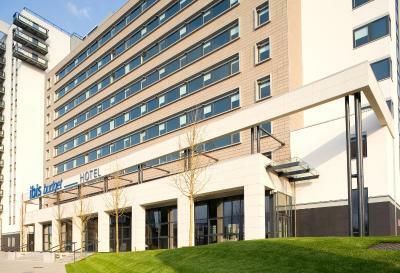 Leeds Bradford Airport is 10 miles from the hotel. 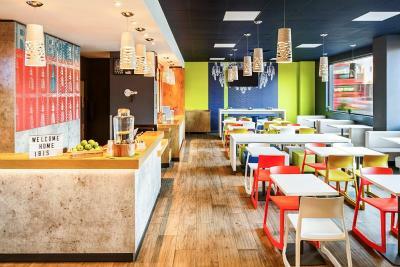 When would you like to stay at ibis budget Leeds Centre Crown Point Road? 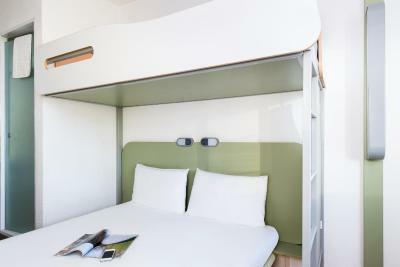 Compact, modern room with a flat-screen TV and a private shower room. 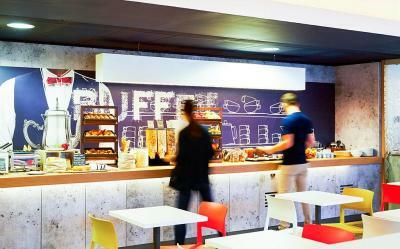 House Rules ibis budget Leeds Centre Crown Point Road takes special requests – add in the next step! 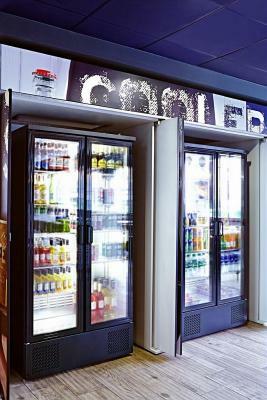 ibis budget Leeds Centre Crown Point Road accepts these cards and reserves the right to temporarily hold an amount prior to arrival. There was no kettle in the room so I couldn't make cups of tea. I had my own tea bags, milk and cup, but no kettle. I know there was free hot water at reception, but that's not the same as making it yourself in your room whenever you want it. The room was clean, the bed was comfortable, the receptionist was pleasant and it was nice and quiet with the window closed.I slept well. The breakfast was very poor so wish we hadn’t paid for that. Very easy check in, great location the room was basic but clean. Beds was very uncomfortable. It was very noisy at night time. Kept waking up due the amount of noise other guest were making. I could also smell someone smoking most nights. Room just bit small but very clean so can’t complain. Pillows little bit hard and lots of banging doors! Fire alarm went off at 6 am! Guessing was set off by accident? No phone in the room(we don’t care ever about it) due to fire alarm went off and we were in the 9th room without knowing what to do until finally the reception was not engaged and they said was false alarm. No gel or shower apart from a mini soap and two little towels. 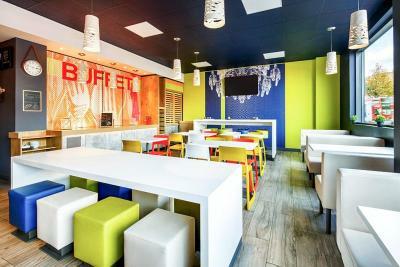 Very well located as well as great staff making you feel very comfortable. Very close in 5 min to the bus station and center of Leeds. No hairdryer, no shampoo or conditioner. For £65 a night I wasn’t expecting a great deal but not having a hairdryer was really unfortunate. 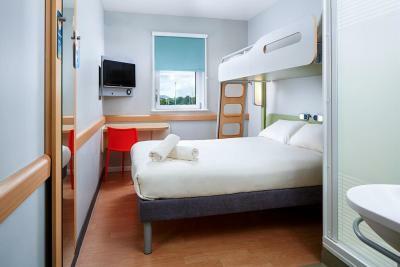 For the same price travel lodge offer much better facilities. 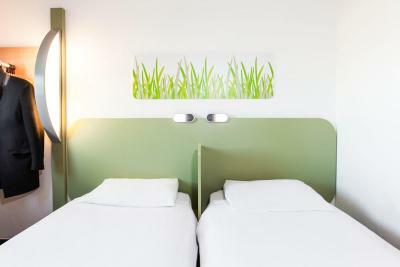 The hotel itself was fine, however the customers Ibis budget attracts on easter weekend made the experience dreadful. Someone smoked in the room and triggered the fire alarm at 6am on saturday, then a group of hens partied in the hallway. Good value for money bot dont book here if you want some peace and quiet. Car Parking was a 10 minute walk and the multi storey had to be found using a map and/or satnav.